Hi friends! Summer is around the corner, so we’re breaking out the seashells and beach-themed goodies and welcoming the heat, right?! Well at least the first part is right – I’m not sure I’m quite ready for the 100+ degree heat we get here in sunny Arizona! But what I DO know is that we’re ready to simplify and brighten up our home decor. 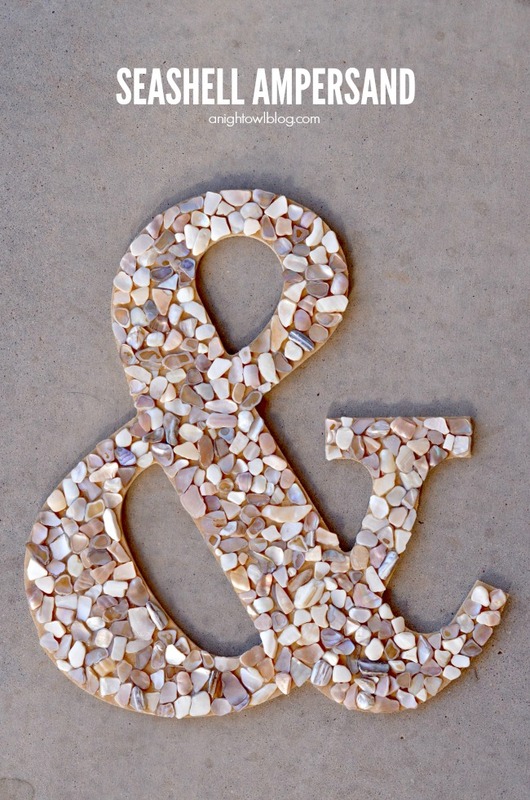 And today we have JUST the fun, beachy project for you – a DIY Seashell Ampersand! 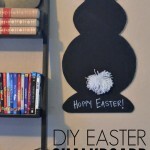 Simply apply Elmer’s Craft Bond Tacky Glue (it goes on white, dries clear!) to a section of the wooden ampersand. Spread the glue evenly over the section with a foam brush. Try “sprinkling” and placing the seashell pieces in place until the section is full to your liking. Repeat these steps until the whole ampersand is full of seashells! At this point you might want to look over the ampersand to see if there are any large holes you want to fill with little bits of seashells. And you’re done! 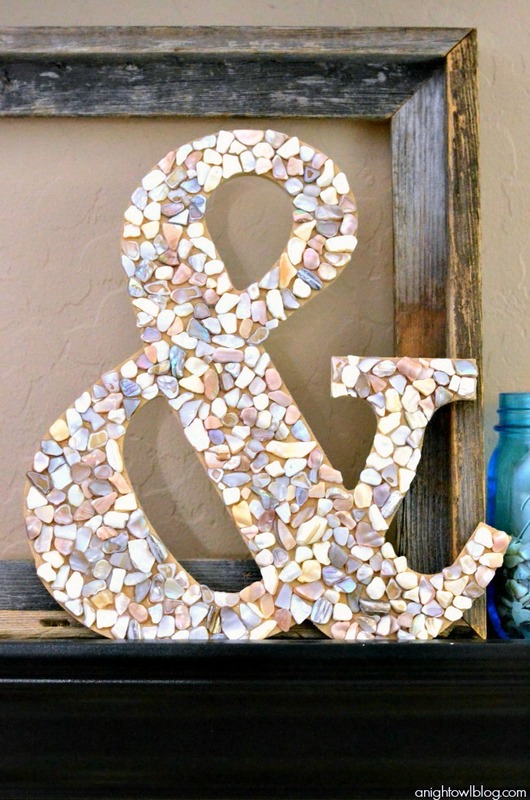 And the result is one adorable DIY Seashell Ampersand, don’t you think?! This pretty little ampersand would be perfect for your Summer beach-themed mantel or your growing gallery wall – come on – you know you have one! How fabulous would a WHOLE gallery wall of ampersands be? I think you should make one and show me. Just saying. So if you’re looking for a fun project to kick off your Summer – try it out! 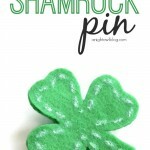 So grab your Elmer’s Craft Bond Tacky Glue and get to crafting! What would YOU cover in seashells?! Cute! Loving the seashells..very fun…Have a great week. What a fun craft to do for summer! 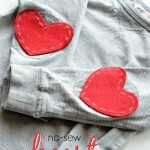 Love this, Kimberly… pinning and grabbing some glue! So cute Kimberly! I love seashells and have a bunch I’ve collected from the beach. You’ve inspired me. I think I need to make an ampersand now 🙂 Pinning! That looks amazing! Awesome DIY! I love this project! 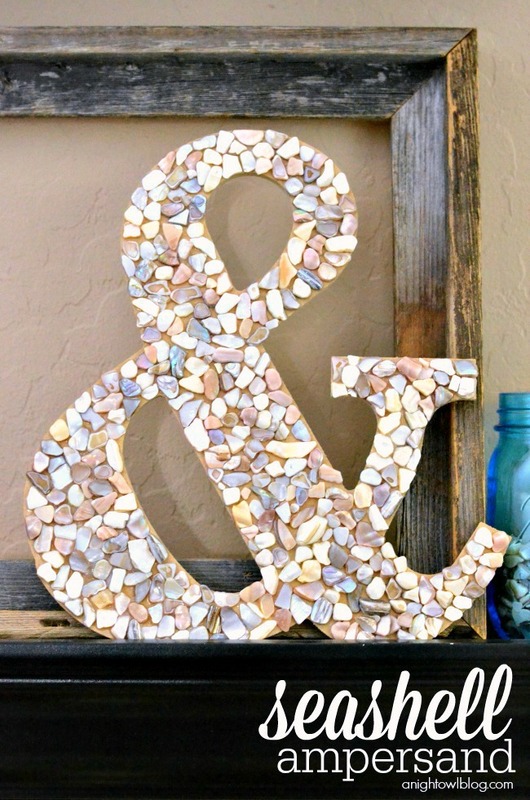 It looks really wonderful and such a nice way to do something with seashells! I love ampersands!! Seashell is super cute. Love it!! Love the feel of this piece! Would be totally perfect for a beach house or if you just want to bring a bit of the beach home with you! 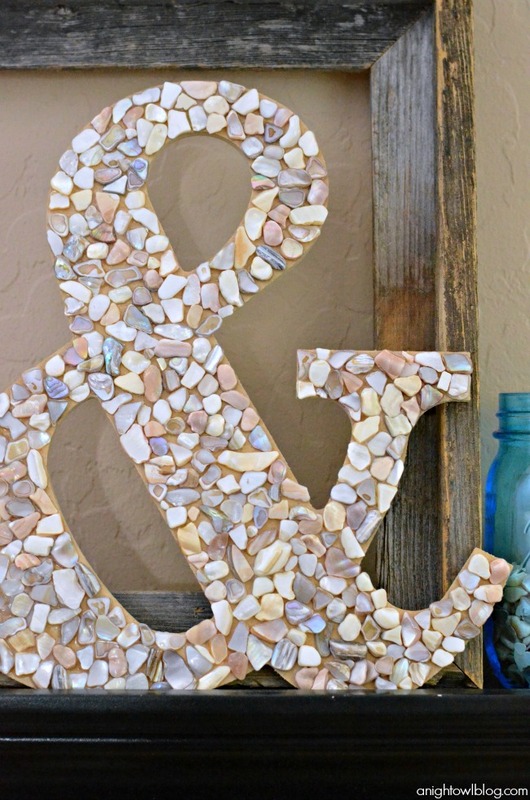 I’ll have to be on the lookout for cool shells so I can recreate this project! This is SOOOO darn cute! I might just have to make this to compliment my Anchor String Art project () It would be a perfect duo! Love me some nautical beachy pieces!! Thanks for the inspiration! I want to make one of these to hang on my wall! I love the beach shells! 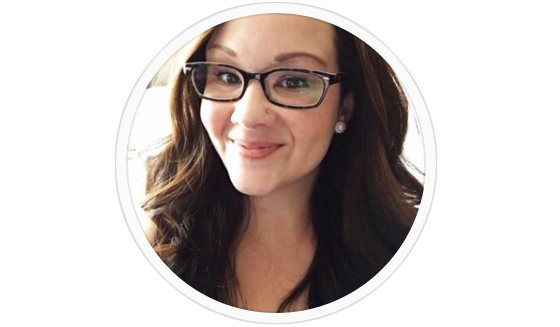 Thanks for linking up with us at the Create Link Inspire party! You were featured today! This is gorgeous. Can you please share where you got the seashell vase filler? I looked at a few craft stores and couldn’t find it. Sorry, Sandy – I thought I said that in the post! I’ll have to update it, I got everything at Michaels craft store. I sooooo love this! When I clicked over & saw it was made by you I was not at all surprised. Beautiful project as always – now I need to make one. Oh my gosh, I love this! 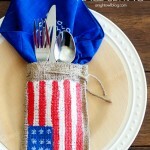 What a creative idea, and totally beachy! I featured this on my blog today and I’m just stopping by to pin it! Thanks so much for sharing at Creativity Unleashed!